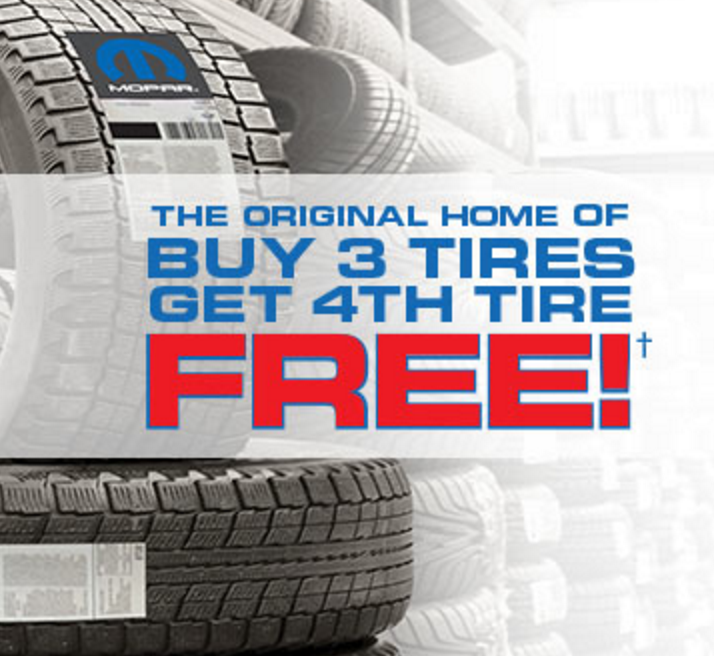 Buy 3 Tires & Get The 4th FREE! When you purchase 3 participating Brand tires you get the 4th tire free*! Visit Devon Chrysler’s Service Center Today! *Must be Dealer Installed. Excludes Tires Sizes Over 18 Inches. Installation & Balancing Extra.